Rear pocket with zip closure. Draw corded closure with locking toggle. Elasticated top cover with heavy duty snap closing buckles. Long straps to allow big or bulky items to be carried. Durable steel hooks (will not snap or break like plastic). Durable water resistant black nylon canvas fabric. Reinforced single and double stitched seams. Hi - I am looking to use this with a seatpost mounted rear rack. 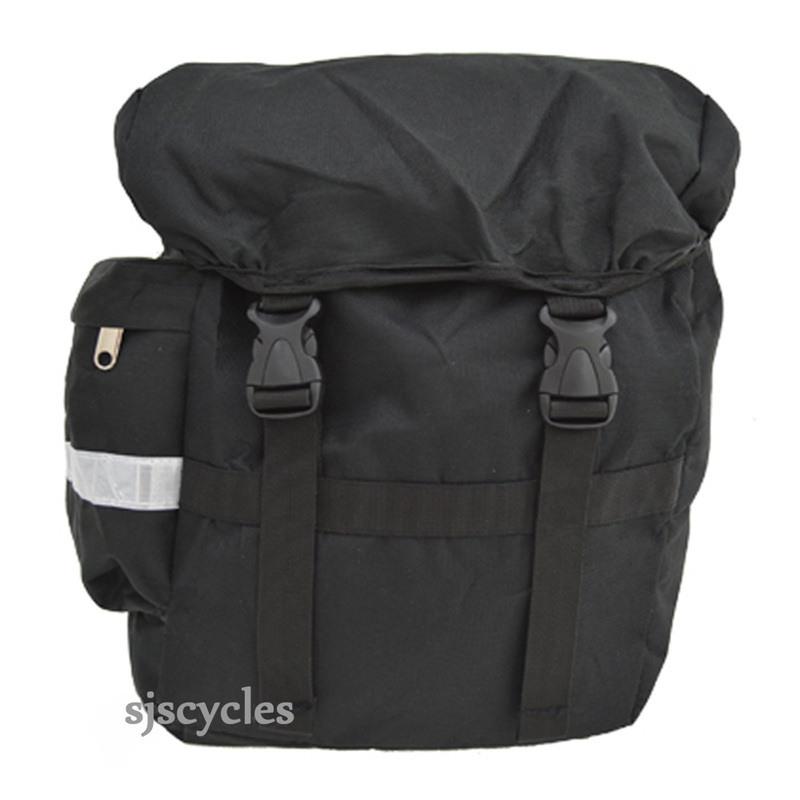 Hi - I am looking to use this bag with a seat post mounted rack since it will be on my road bike which has no mounts . In terms of seat post racks which ones that you have would it be compatible with . We think SJS Cycles part number : 22560 would probably work.